Now presenting the 50th-anniversary edition of this best-selling classic in Judson Press's Work of the Church series! 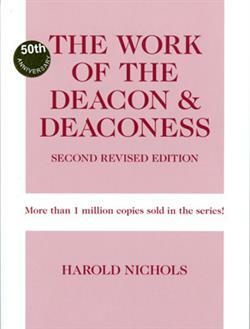 This Second Revised Edition of The Work of the Deacon & Deaconess features new and updated content, reflecting the evolving diversity of ministry in the diaconate. Fans will find time-honored material about the traditional roles of the deacon, as well as additional ideas for tailoring the deacon's work to the needs of a growing congregation and changing community. In particular, this second revised edition includes greater differentiation between the roles of deacon (male and female) and deaconess in churches that maintain a distinction in those ministries.